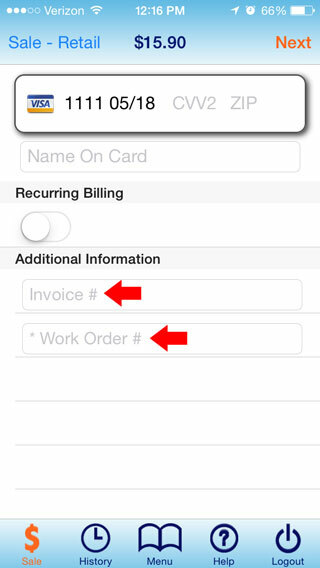 This article outlines the difference between the memo field and additional fields in 1stPayMobile. 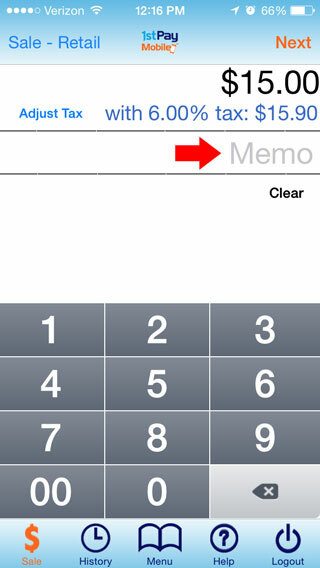 Memo is enabled in the Transaction Center's Main Options Mobile Settings. It is displayed on the Amount Screen within the 1stPayMobile app, and can be used to add a note about that transaction. Only one memo field can be enabled, there cannot be multiple memo fields. These fields can be made "Required"